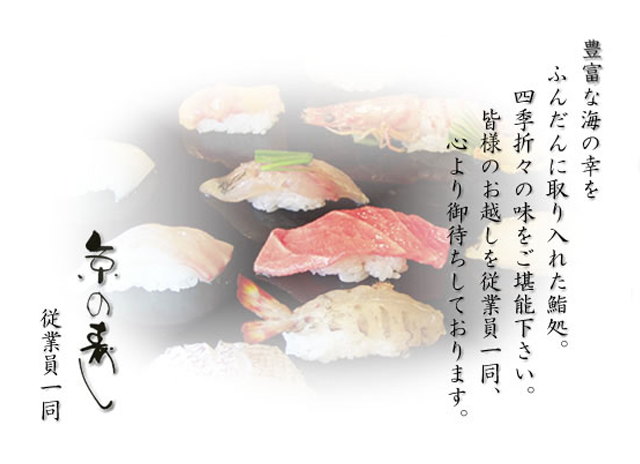 Sushi that incorporates plenty of fresh seafood, please enjoy the taste of the four seasons. We are looking forward deeply to welcoming you. Copyright© 2004 鮨処 京の寿し All Rights Reserved.